Good quality saddlery and tack can make all the difference to your horse's wellbeing, health and demeanour. That's why we provide our customers with the best possible saddlery and tack products, backed up by outstanding aftercare, information and support. This ensures a long, productive life for any tack products purchased at Farm & Stable. From lead ropes to head collars, we provide everything you need to safely and securely ride and train your horse. Within this category you will find headcollars & lead ropes along with reins, boots and rugs, you can even find tack room and leather care products within our subcategories. Lower quality tack may be less durable and made of cheaper materials, this allows it to more easily damaged than higher quality products. This may pose a health risk to the horse and the rider, that is why Farm & Stable selects only the best products for sale. Not only do we offer superior products, we also realise how important it is to take care of the equipment you’ve purchased. 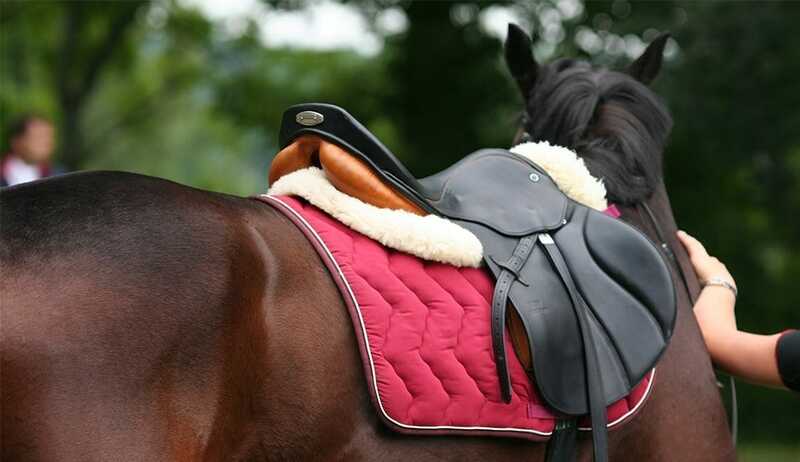 We have a category dedicated to leather & rug care, and within this section you will find products that not only help with maintaining the general cosmetic look of your tack, but help prolong their life span, products for instance such as the famous Hydrophane Leather Dressing, which not only reconditions leather, it also provides protection and weatherproofing. We also have a range of products to help organise and store your tack, this category is simply titled “Tack Room”. Here you will find a selection of products used to store anything from reins and bridles to saddles; all offering both tried and tested but also unique ways of storing and protecting your horse tack, whilst also demonstrating innovative ways to save space in your tack shed. No matter what your requirements are, they will be met in our online shop, you’ll even find that we stock a range of safety clips and attachments!